Our eyesight is one of the most important things in our lives. With access to vision centers, glasses stores, mail order contact lenses, and increasingly affordable LASIK surgery, it’s something we’ve grown to take for granted. And yet more than 285 million people in the world suffer from vision impairment and have no hope of access for even basic eye care. 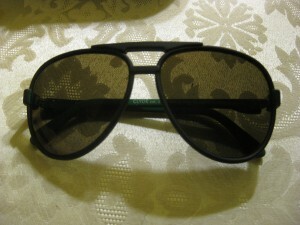 Shaun’s Shades is a new brand of sunglasses featuring very stylish and fashionable sunglasses. To see how stylish, check out their online Look Book. Their glasses are designed in California and made in Italy, and feature Carl Zeiss lenses (which can be identified by a tiny microscopic “Z” for authenticity). Carl Zeiss is a renowned manufacturer of lenses who have accomplished things like inventing the first anti-reflective coating (which is applied to these glasses), to manufacturing the lens used to film the moon landing. They rival some of the best premium sunglasses out there. Shaun’s Shades even has a virtual mirror on their site that’s a pretty nifty way of seeing what the glasses look like on you. But what’s remarkable about Shaun’s Shades is that for every pair you purchase, a pair of vision correction glasses will be given to someone around the world in need. So far they’ve given away more than 5,000 pairs of glasses, supporting clinics in areas like Honduras, Ecuador, Haiti, Columbia, and Peru. 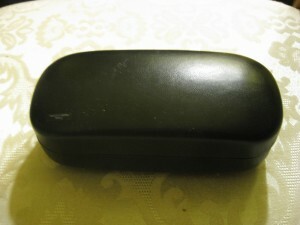 Inside the glasses are protected in a drawstring bag with the “” slogan. 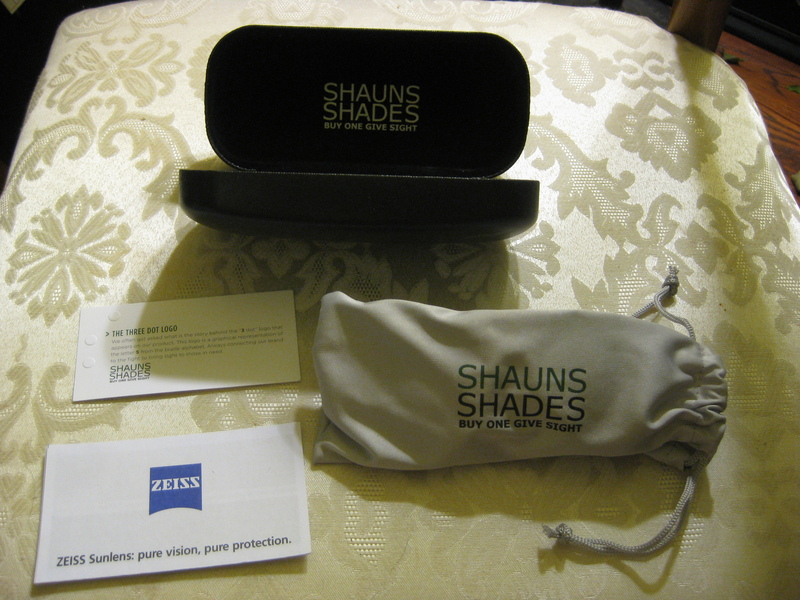 There’s also some literature about the mission of Shaun’s Shades. One thing I found very cool was their business card, which features their logo of three dots (signifying the letter “S” in Braille). The first thing that struck me was how light glasses themselves were. Yet they’re very sturdy. They’re comfortable to wear and pleasant to look through. 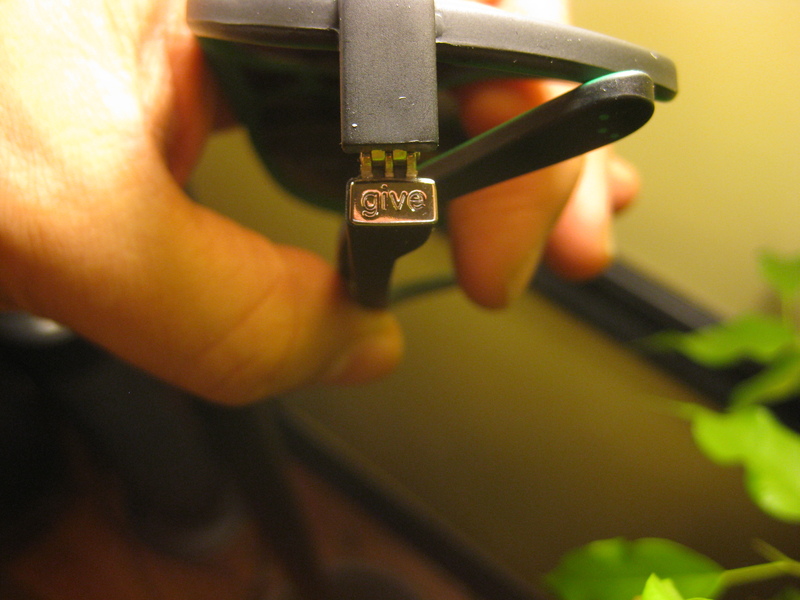 The letters “CE” on sunglasses mean that the glasses offer a safe level of sun protection. 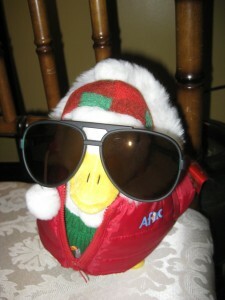 While I’m too bashful to take my own picture, here’s a picture of my Aflac Duck wearing the shades. I love the little details, such as the words “GIVE” and “SIGHT” subtly placed around the glasses, as well as the Braille logo. It’s a great reminder of the good your purchase is doing. 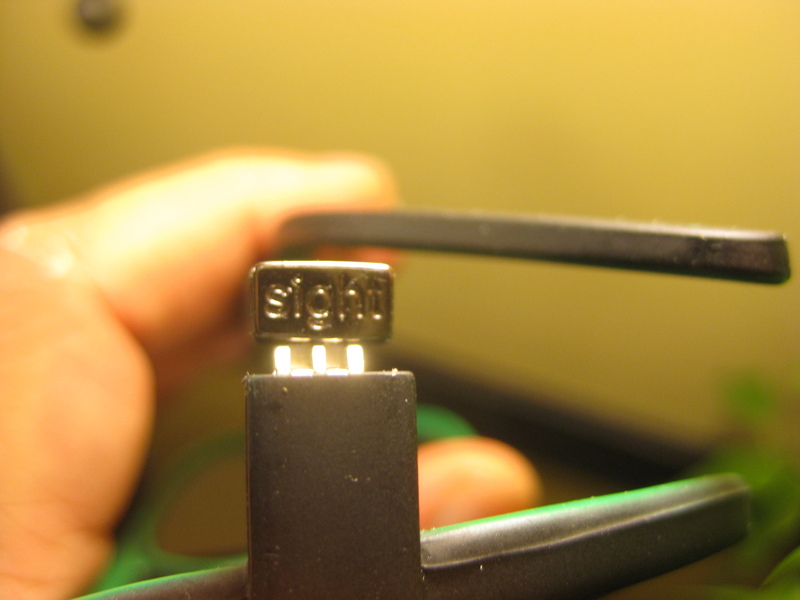 The three-dot logo is also printed on the glasses. If you’re in the market for designer sunglasses, you can’t do much better than this: Italian-made glasses with professional grade lenses and the knowledge that your purchase is going to help give sight to others in need. Founder Shaun Peterson probably put it best when he said “We don’t want you to compromise your personal style or desire for quality to help solve this problem – we want you to enhance it. We want you to look good giving”.